The fist VOC FREE T.T. 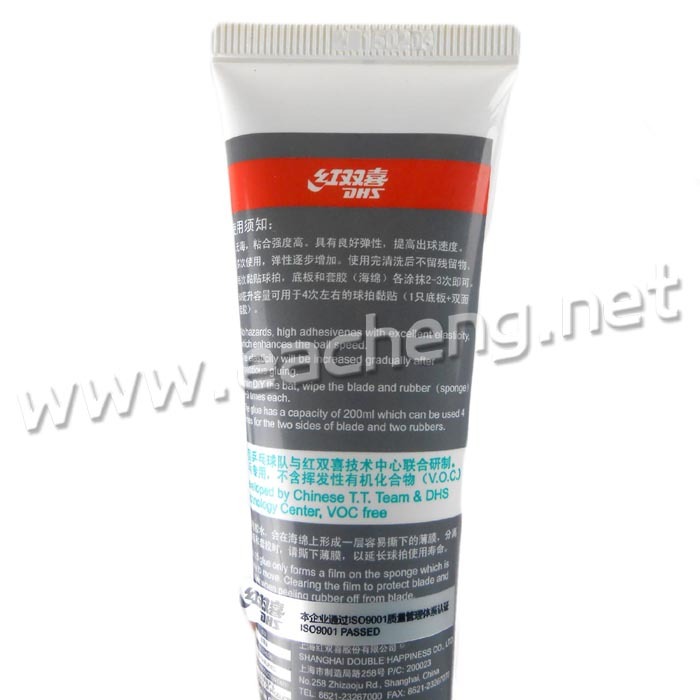 glue approved by ITTF in China. Compared with other VOC FREE T.T. 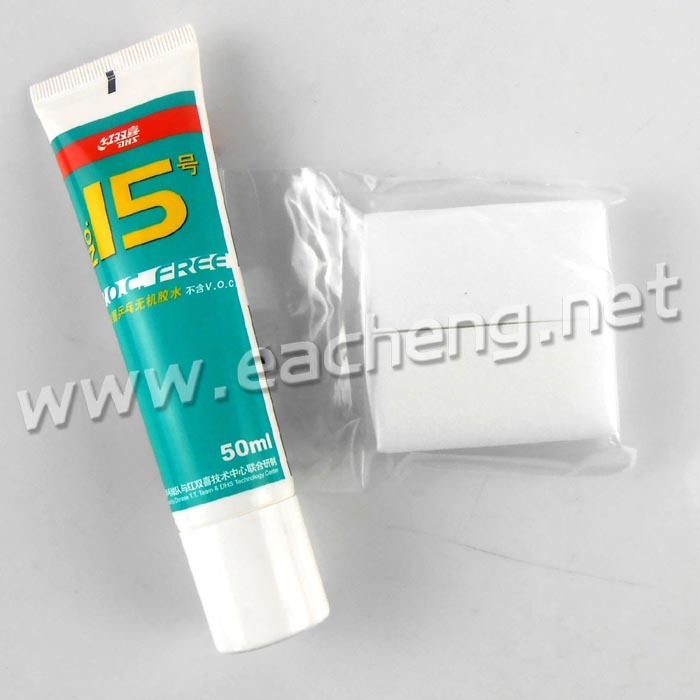 glue, DHS NO.15 has a better elasticity and can be easily cleared. elasticity will be increased gradually after repetitious gluing. Brush the glue on the blade and rubber equably with sponge brush inside the package. When the glue is air dried and transparent, you can stick the racket. Please shake the pot before you use the glue. Brush the glue towards single direction. Please soak the sponge brush in water and clean it after usage a.s.a.p. If necessary you can use hairdryer to accelerate the aring of glue. one parcel contain only the glue, the other contain other items. After the orders sent, we will let you know two parcel tracking number.